We all want to get more done in less time. Since starting on my journey as a Business Productivity Specialist, I’ve learned that processes and procedures can get complicated very fast. Therefore, simple is always best. Why did this make it to the top of the list? Well, because most entrepreneurs and small business owners have a hard time doing it. It seems counterproductive but if you’re working under fatigue and overwhelm your productivity drops dramatically. Also, have you ever noticed that the answer to that problem you’ve been trying to solve for days usually pops up when your mind is relaxed? This is particularly helpful in your email inbox. So, if you know it’s a newsletter you’re not going to read, then just delete it…right now…don’t hesitate. Better yet, unsubscribe to it if you are no longer getting value from it. 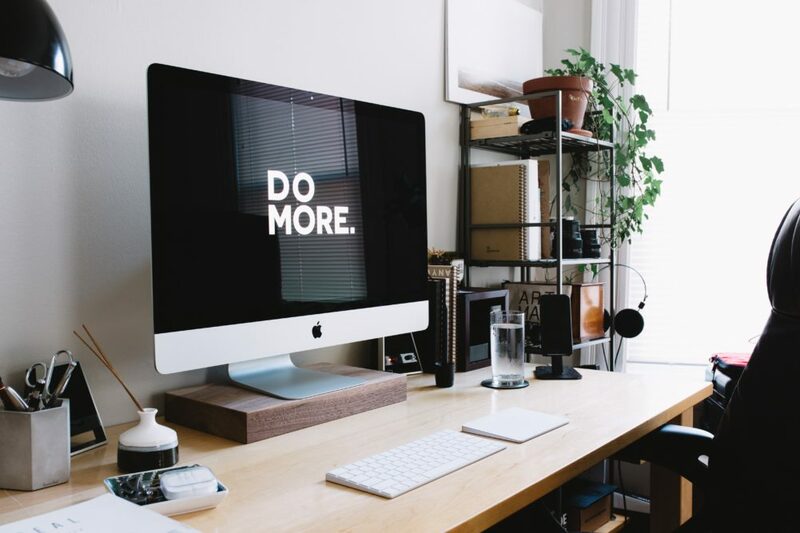 Keeping a clean inbox may seem time consuming but it actually helps you to get more done in less time, since you won’t be distracted by your overwhelming inbox and finding emails will be a breeze. Another great piece of advice is to follow David Allen’s ‘2-minute rule’ outlined in his book ‘Getting Things Done’. If you’ve determined that a task is going to take 2 minutes or less, just get it done. It’s not worth taking the time to add it to your to-do-list and come back to it later. Whenever there’s a request for something in your inbox that is going to take some time, put it in your schedule or on your to-do-list immediately, remove it from you inbox and forget about it until it comes up in your schedule. For times when you’re feeling overwhelmed and there are a million thoughts flying around in your head, take 10 minutes and write everything on a piece of paper or in a journal. I mean everything. There shouldn’t be any rhyme, reason or structure. As thoughts come up, write them down. Just get them out of your head. Trust me, you’ll feel sooo much lighter and you’ll have a jumping off point for putting together a plan to get more done in less time. Get my FREE Brain Dump Template. Click below. Dedicate a timeframe to a project or task you are working on and put your phone in another room while you’re focused on that task. Only check your phone when you are doing number 1 on this list. Make sure you can’t hear it binging and chirping. Turn it to silent if you must. We all know our phones are distracting but could use a reminder now and then. Like Marie Forleo says ‘If it’s not scheduled, it’s not real’. I use time blocking in my Google Calendar. I block off time for meditation, working out, marketing, training, checking email (twice per day only), billable work…I even put things like eating, reading and walking the dog…especially these things…as it reminds you that they are priorities too. Each weekday is basically the same. However; I take Mondays as a marketing and mosquito task day so the rest of my week is free and clear for important client work. Saturdays are dedicated to learning and passion projects. Sundays are my rest day. Don’t forget to take a full day to do nothing. You need it to recharge so you can keep creating your amazing products and services! There is no such thing as multitasking in my opinion. In the past, I would list ‘multitasking’ as a skill on my resume. But when you think about it, we can’t really do more than one thing at a time. Assistants, and the like, may be able to do several tasks in succession in a fast and efficient way, but actually doing more than one thing at once is very difficult (aside from walking and talking or driving and listening to music…). Even if you manage to do more than one thing at once, the quality goes down and the errors go up so you’ll end up redoing it anyway. If you’re still skeptical, this article suggests multitasking may actually damage your brain. Now tell me, how can this possibly help you get more done in less time? Keep it simple stupid. In other words, cut out the unnecessary and automate what you can. If you have multiple email addresses, have them all forward to one and unsubscribe to 90% of those newsletters that clutter your inbox. With the search function in most email platforms now, you even need fewer folders. Suppose you have 2 maybe 3 phones, cut it down to one, if you have 37 reminders and notifications coming up daily on your phone get rid of the ones that aren’t imperative. Be honest, how many of those notifications do you ignore or not even notice? The more things around to think about and manage, the more you are going to become overwhelmed and ignore everything. Plus, it takes up extra time. If you need a great resource to help you keep things simple in your business, check out ‘Rework’. This book has helped me sort out what is necessary and what isn’t. When you make a solid plan and picture how you want your day to go, it will flow much more efficiently. Also, you’ll sleep better. Can someone do it faster and better? Even if it seems expensive, it will most likely save money in the long run. If anything, it will help you get more done in less time, since you’ll have freed up hours and hours of it. If you’re looking to outsource now, check out my services. Thanks so much for reading! I hope if you implement even a few of these tips, you can get more done in less time. P.S. Which of these tips did you find the most helpful? Perhaps you have more tips to add. Please share in the comments below. I’m always looking for more efficient ways to help my clients and will answer any questions you have.